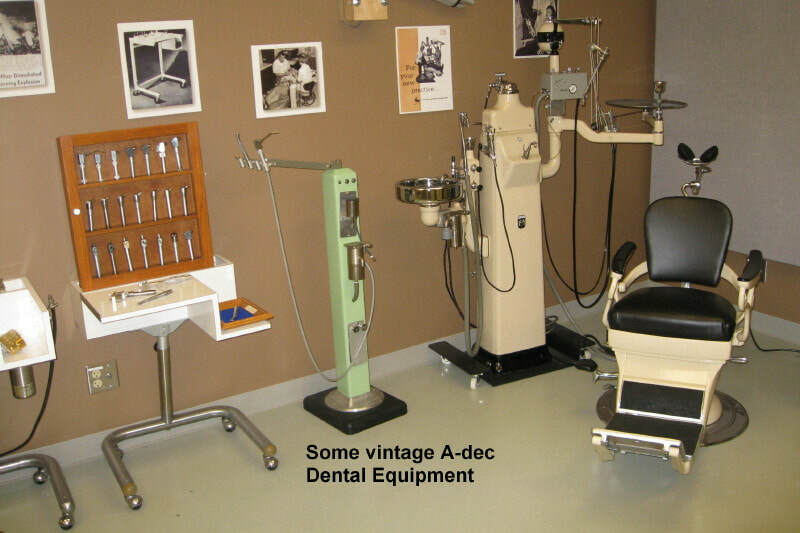 Ken Austin is an inventor and co-founder – along with his wife – of the world renowned A-dec dental equipment company. Unfortunately, Mr. Austin was not feeling well and could not join us today. 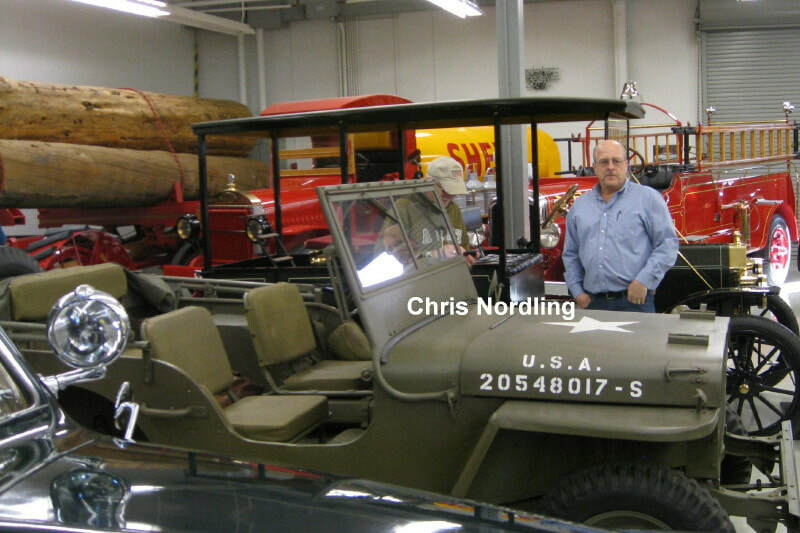 However he had arranged for a worthy associate, Chris Nordling, to show us his collection and to answer any questions. Thank you, Chris. 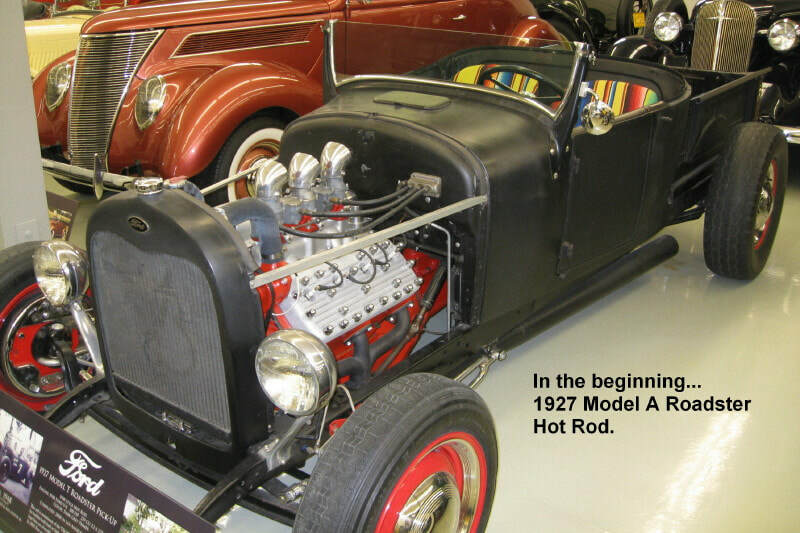 The Rod Shop name originated back in Ken Austin’s high school days when, in 1948, he and his buddies built a 1927 Ford Model T Roadster Pickup hot rod. 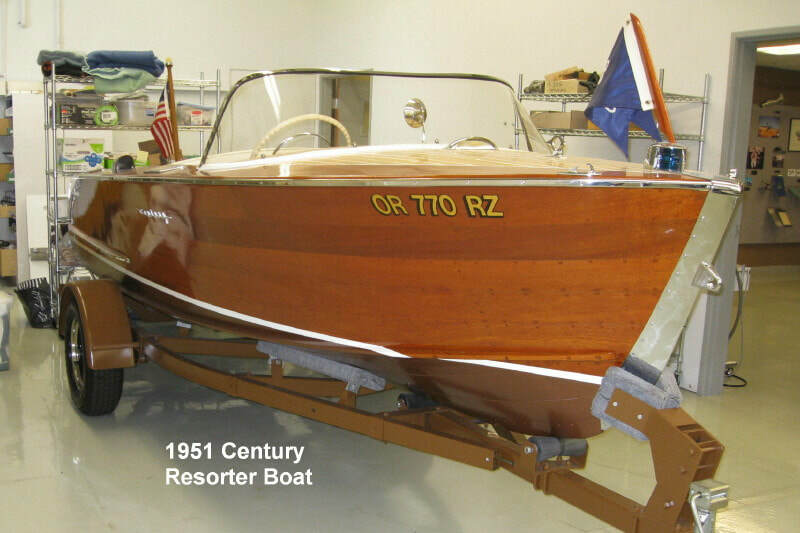 Today The Rod Shop sign hangs in the home to Ken’s private collection of truly fine automobiles, trucks, tractors, and even a beautiful 1951 Century wooden boat with less than 170 hours of total run time. A recreation of that first 1927 hot rod is there, too. 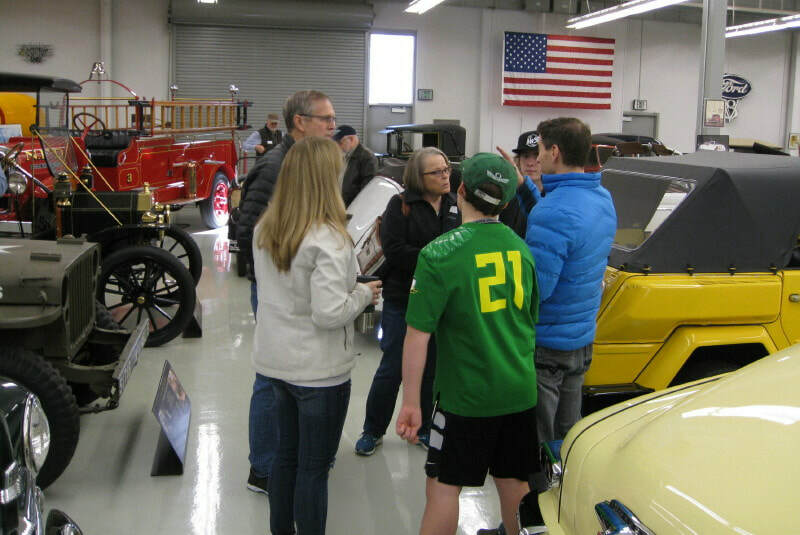 Of the more than 60 vehicles in this collection most are in near, or probably even better than original, showroom condition. Absolutely stunning! All but one, we were told, are driven at least a few times a year. 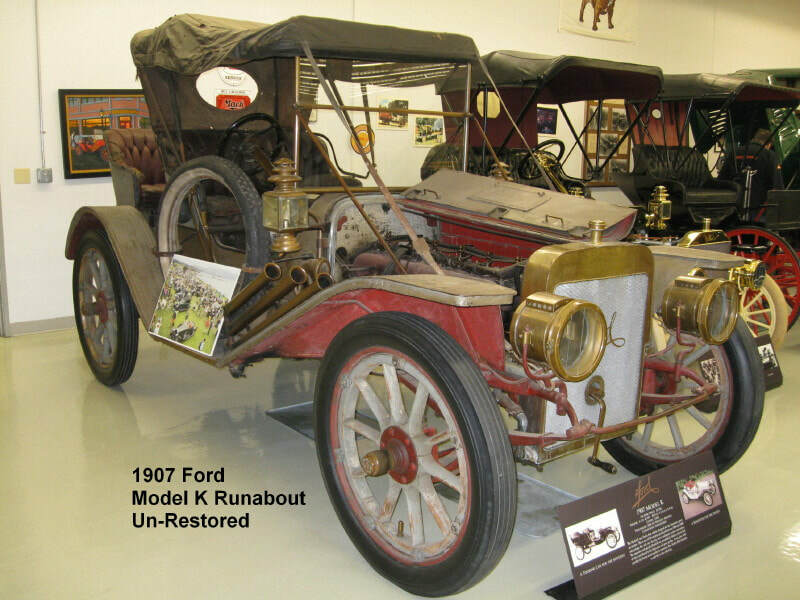 The one exception is an un-restored, very rare, 1907 Ford Model K Runabout – one of only five known to exist today. 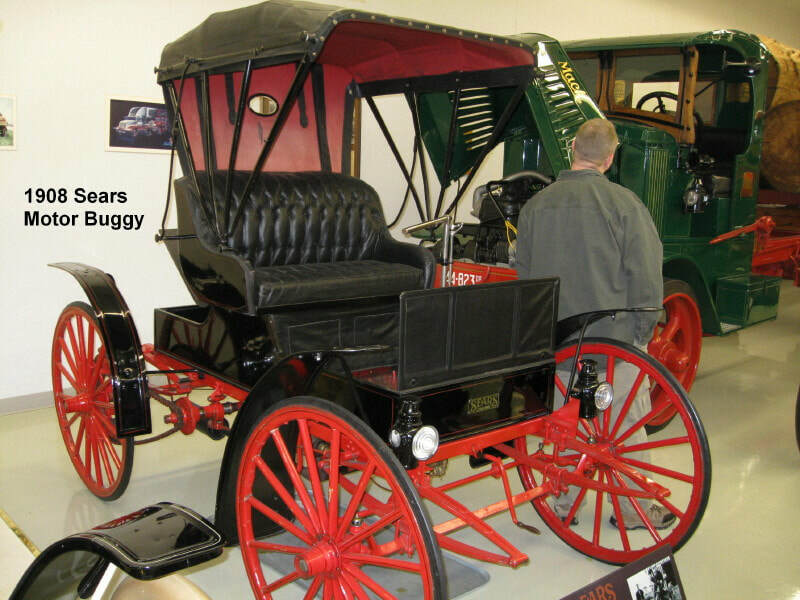 One of the more unusual cars on display is a 1908 Sears Motor Buggy. Originally these were purchased through the Sears, Roebuck & Co. catalog and shipped by train. Upon arrival, the buyer would uncrate the car at the depot, mount the wheels on the axles, and drive it home. 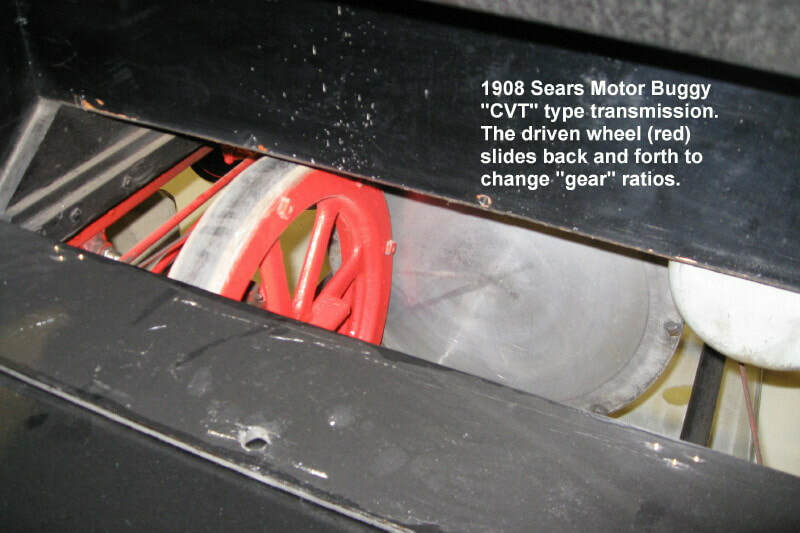 This vehicle features a very simple, CVT type friction transmission followed by chain drive to the wheels. 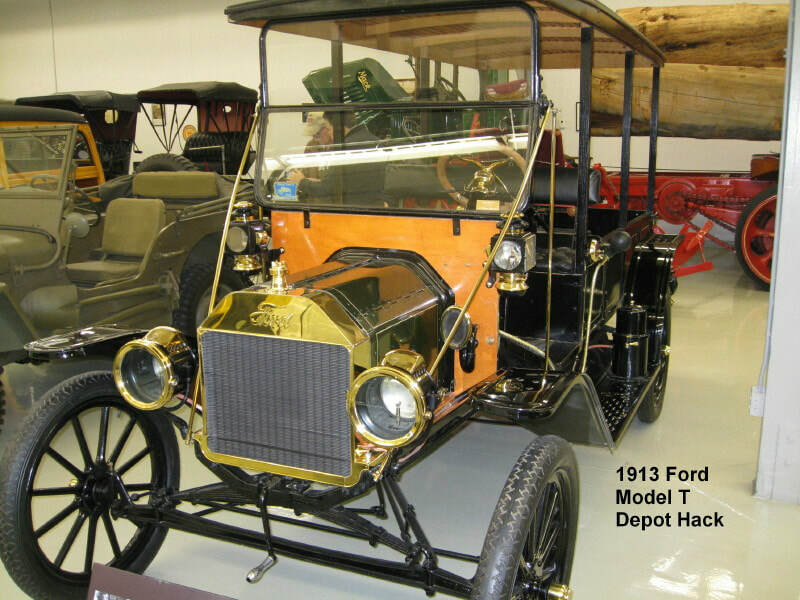 There is also a 1913 Ford Model T Depot Hack. 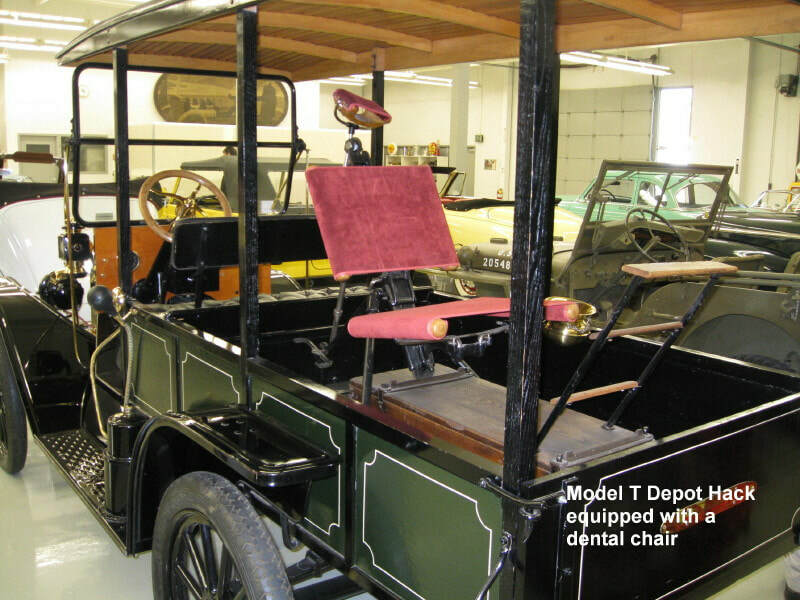 Originally built to transport passengers from train depots to hotels, this specimen now sports a very old and very basic portable dental chair and equipment – built by A-dec no doubt -- making it a mobile dental treatment vehicle. 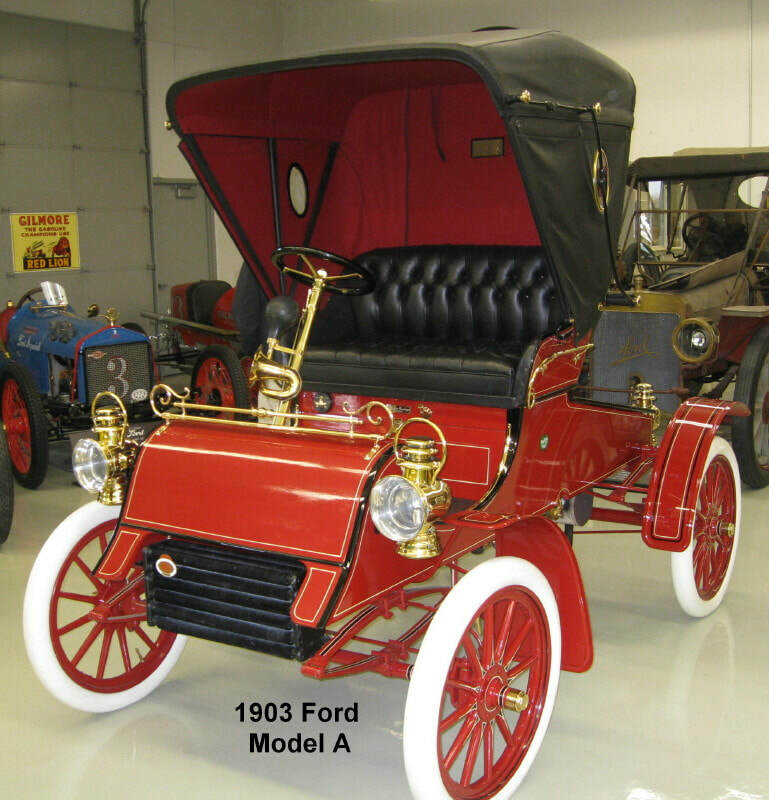 The oldest car I saw was a 1903 Ford Model A – Model “A” from the first run through the alphabet. 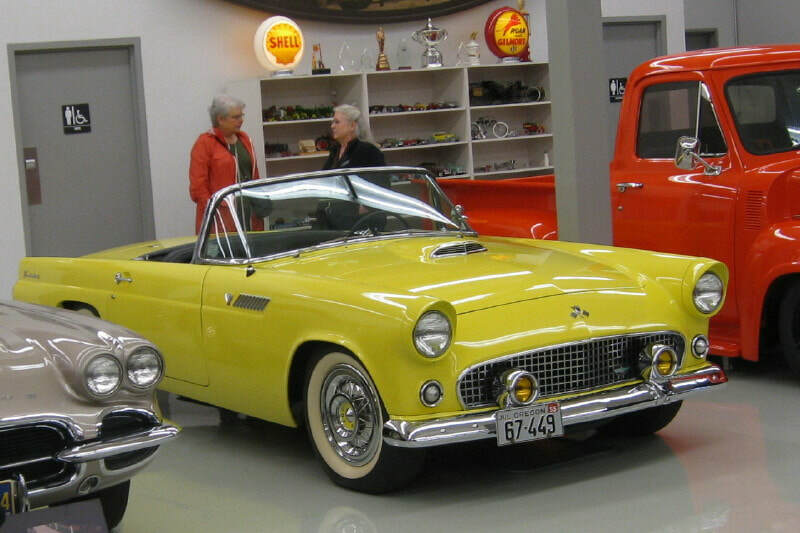 Lest we forget, one of the most popular cars in the collection is a 1955 Thunderbird – which has a connection to our club from back in the day (owned by Norm & Kathy Dodd in the 1980’s). 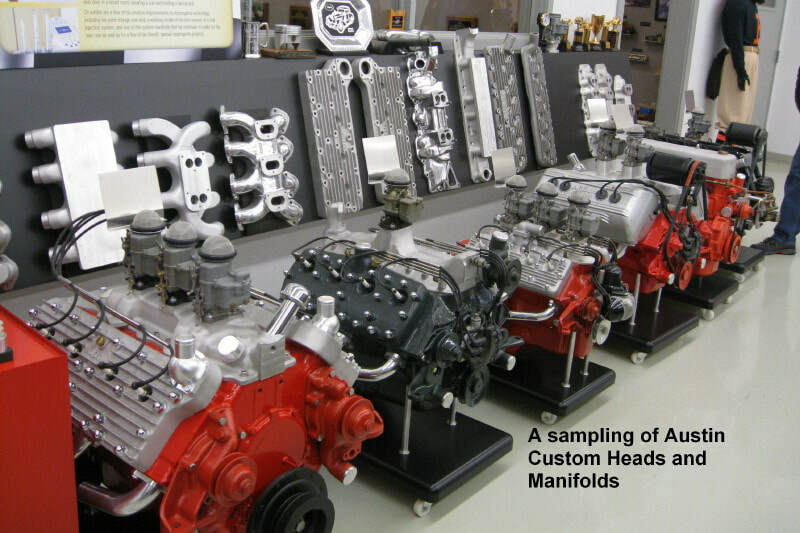 Besides the many beautiful cars, there also is a sampling of some of the custom high performance Austin cylinder heads and manifolds that Ken designed and built from scratch. 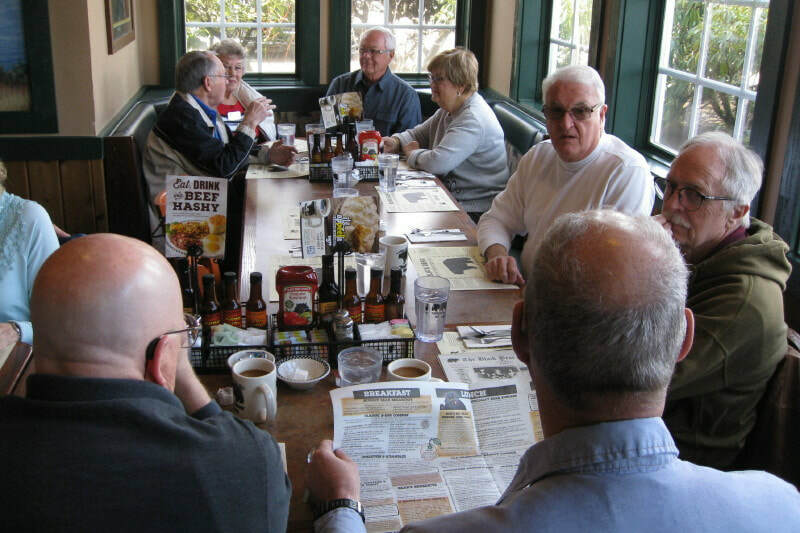 It should be noted that this was our club’s third visit to Ken Austin’s collection. Like Disneyland, you can’t see everything in just one tour. Besides, he’s added a few more amazing cars since our previous visit in 2015. 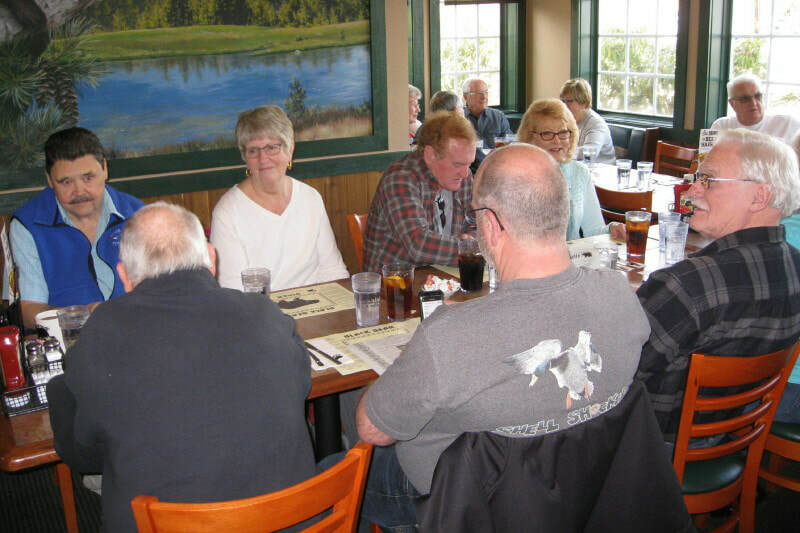 Following the tour we caravanned a couple a miles to the Black Bear Diner in Newberg for a fine lunch and a short business meeting. 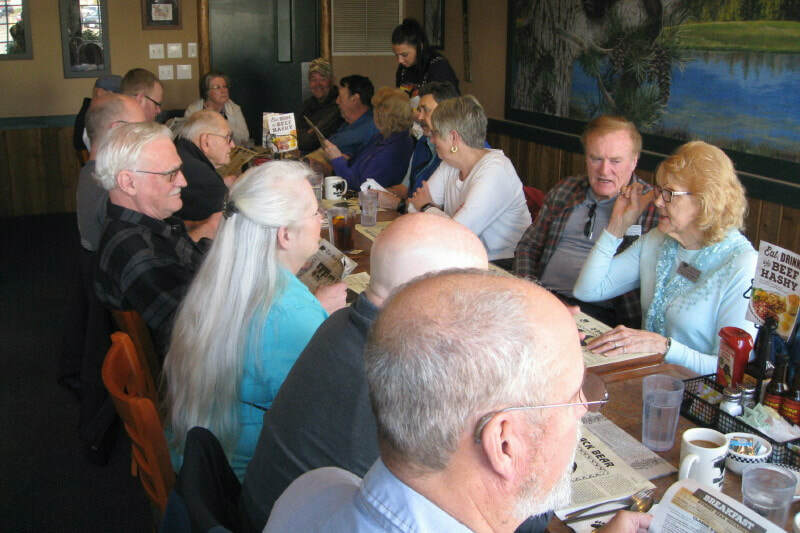 We wish to thank Bob and Marcena Monroe for arranging this event and Ken Austin for opening his doors to his collection for our members’ adulation.